In the last few years, a new drug has gained in popularity, particularly with youth. It has also generated a great deal of attention and concern from law enforcement authorities, the medical community, and drug enforcement personnel. The drug is essentially a synthetic form of marijuana commonly known as Spice. It looks plant based like marijuana, but contains a number of chemical compound additives. The drug resembles potpourri to the point that it is often referred to as potpourri on the street. Sold in packets or small jars, it is labeled and known by names such as: K2, Yucatan Fire, Moon Rocks, Skunk and other harmless sounding names. 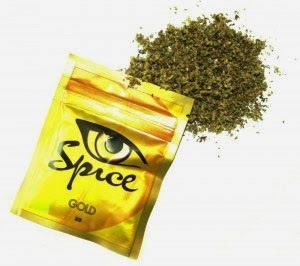 The likeness between Spice and actual marijuana is the primary source of the danger it can pose for users looking for a marijuana substitute or marijuana-like high. It can be smoked, made into a drink, or even mixed with marijuana. The plant based ingredients can range from lettuce or other random plant materials that do not pose any real or known hazards. Spice, or synthetic marijuana is often marketed as a natural substance because of the plant based ingredients. However, it is not natural. The synthetic additives make the effects of Spice very unpredictable. The synthetic additives used in the dug can affect everyone differently and have been shown to be more potent that the cannabinoid compounds found in marijuana. There are also a wide variety of chemicals that can added. This means users have no definitive way of knowing what they are ingesting or smoking. The potency or presence of those chemicals can vary from packet to packet or brand to brand. While the mind altering effects common with marijuana are typically felt with Spice, other unexpected effects can be present and lead to health problems. Some Spice users have experienced anxiety, paranoia, hallucinations, vomiting, seizures, rapid heartbeat, kidney damage, and even heart attacks. The number of calls to poison control centers and emergency room visits related to Spice have risen dramatically in the last few years. This increase in calls and medical emergencies also helped to raise public awareness of the drug and its dangers. The government has taken steps to ban the use of Spice; which was initially very easy to buy in stores, such as gas stations and convenience stores. It was difficult to regulate a few years ago because it was labeled as “not for human consumption”. Also, as the DEA acted to ban one chemical found in Spice, that chemical would be quickly replaced with another synthetic compound. This would render the ban useless. However, despite the struggles to keep up with the technicalities and alterations manufacturers would implement to avoid regulation, the DEA banned Spice drug in July 2012. Up until then, it could be bought anywhere by anyone. With the federal ban, the chemical additives in Spice are classified as a controlled substance and therefore, it is an illegal drug. As with any controlled substance, the possession, manufacture and sale of such substance is against the law and carries criminal penalties.